Discovered in 1805 by Lewis and Clark, the Palouse is a geologic wonder unlike any other area. Mesmerizing beauty and a sweeping landscape of rolling hills and plateaus greet visitors to this distinctive region north of the Snake River in Southeast Washington and North Central Idaho. This is the place simply to drive leisurely along and gently curbving highways, sprinkled with antique shops and wineries, with easy access to hiking and biking and above all, photography. If you ever needed to stop the world and relax, this is the place for it. This land was originally occupied by the nomadic Palus tribe, renowned as expert equestrians. It is generally thought that French-Canadian fur traders converted the name of the tribe to the more familiar French word pelouse, which means "land with short thick grass." The area has since become known for growing wheat and legumes and is home to small towns with a rich history and charm. Pullman, Washington and Moscow, Idaho are the main hub communities. Settlers came to the area in 1871, for the abundant grassland and available timber for building. Originally named "Paradise Valley," Moscow's name was chosen by Postmaster Samuel Neff not only becasue it reminded him of his hometown of Moscow, Pa., but also for its favorable meaning, "City of Brotherly Love." In 1875, the city's first store was opened on what is now Main Street. The town became incorporated in 1887 followed by the creation of Latah County in 1888 landing Moscow as the county seat. In 1889 Moscow was chosen as the site for a land-grant institution, the University of Idaho, which propelled the city into a trading and population center for the county. 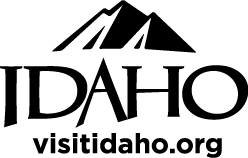 Idaho achieved statehood in 1890. The rolling hills of the Palouse offer a unique agricultural experience for local farmers. In the spring, the loess hills are bright green and speckled with an array of beautiful wildflowers. Before harvest in the fall, the hills are brushed with the golden colors of ripe crops, and some fields are filled with bright yellow canola. Area crops include wheat, barley, peas, lentils, chickpeas, garbanzo beans, and canola. Peas, lentils and chickpeas have been grown on the Palouse for over 100 years, generally as rotation crops with wheat. Farmers appreciate the special nitrogen-fixing properties of these three crops, whose roots gatehr nitrogen from the air and fix it into the soil surrounding the roots. This natural process helps reduce the farmers' dependence on commercial fertilizers, and this nitrogen benefit remains even after harvest, giving a boost to the wheat crop that is planted on that same field in the next season. Grouped together, peas, lentils and chickpeas are called the cool-season pulses: pulses is the term used to describe legumes that are used primarily for food, and cool-season refers to their tolerance for cool weather at the beginning of the growing season. Depending on the soil moisture and temperature, cool-season pulses may be planted anywhere from early April to early May, and the plants generally flower about eight to 10 weeks after planting. After flowering, seedpods appear, and the seeds inside the pods are allowed to mature and dry on the vine prior to harvesting. Pea harvest takes place first, usually starting in mid-July, followed by lentil harvest in August and chickpea harvest in September. After harvest, the cool-season pulses are stored in bins and then shipped to buyers throughout the marketing year. Some of our harvest stays here in the U.S. to be used in canned soups and other prepared foods, or sold dry in packaged form for home cooking - and a lot of our chickpeas are processed into hummus refrigerated snack spreads. However, most of our cool-season pulse harvest is exported markets. our leading export markets include India, China, the EU, the Philippines, and Peru.